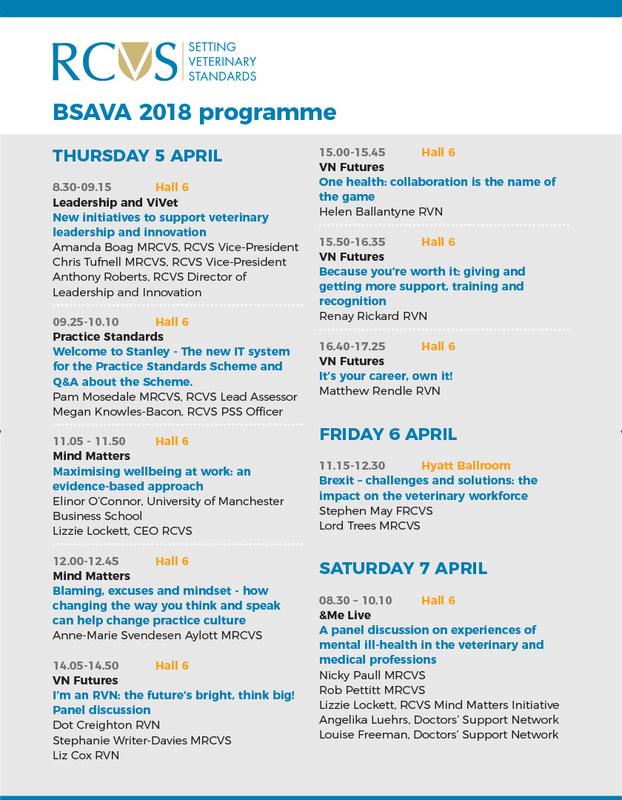 We will be at the British Small Animal Veterinary Association (BSAVA) Congress this week to promote ViVet as well as the new RCVS Leadership initiative and the launch of our free massive open online course (or MOOC). Throughout the entire Congress in Birmingham we will be on Stand 105 where we will be promoting ViVet through literature, posters and a time innovation-themed game with the fastest player each day winning a Kindle Paperwhite. We launched Vivet, an ambitious and wide-ranging programme designed to ensure veterinary professionals are at the forefront of innovation in the animal health sector, at our inaugural Innovation Symposium at The Shard in September 2017. 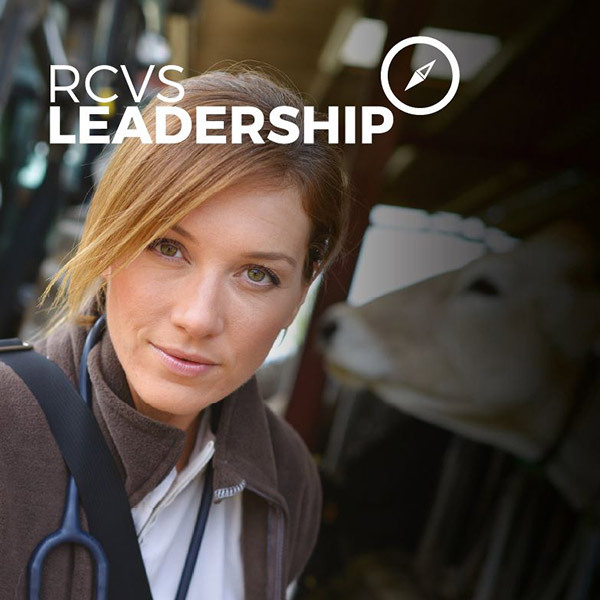 On the Thursday our Vice-Presidents Amanda Boag and Chris Tufnell, and our Director of Leadership and Innovation Anthony Roberts, will be hosting a breakfast session encompassing ViVet titled: ‘New initiatives to support veterinary leadership and innovation’ from 8:30-9:15 in Hall 6. 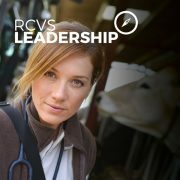 The RCVS Leadership initiative was launched as part of the RCVS Strategic Plan 2017-2019, which had as one of its ambitions “to become a Royal College with leadership and innovation at its heart, and support this creatively and with determination.” The initiative’s goals include integrating leadership into veterinary professionals’ continuing education (in part by creating the MOOC), leading by example in the College by developing Council and staff members’ leadership skills, and highlighting more diverse leadership opportunities. 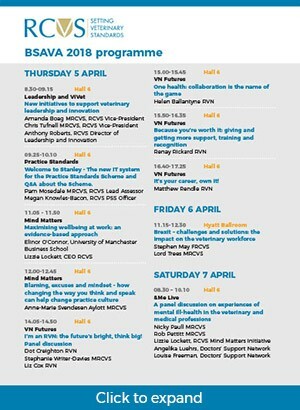 The leadership and innovation talk will kick off a whole stream of RCVS talks in Hall 6 – after which will follow ‘Welcome to Stanley: The new IT system for the Practice Standards Scheme and Q&A about the Scheme’ lead by Pam Mosedale, RCVS Lead Assessor, and Megan Knowles-Bacon, RCVS PSS Officer, from 9:25-10:10. The next couple of sessions will focus on the Mind Matters Initiative, both hosted by Mind Matters Chair Stuart Reid. From 11:05-11:50 Elinor O’Connor, Director of Teaching and Learning Fellow at Alliance Manchester Business School, and Lizzie Lockett, RCVS CEO, will give a talk titled ‘Maximising wellbeing at work: an evidence-based approach’, and then from 12:00-12:45 there will then be a talk titled ‘Blaming, excuses and mindset – how changing the way you think and speak can help change practice culture’ with Anne-Marie Svendesen Aylott, Leadership Coach at PurpleCat Coaching. The afternoon will then switch to a focus on VN Futures with a dedicated VN stream chaired by Niall Connell, Vice-Chair of VN Council. There will be talks on One Health by Helen Ballantyne; career progression by Matt Rendle; the future of veterinary nursing by Dot Creighton, Stephanie Writer-Davies and Liz Cox; and, support, training and recognition by Renay Rickard. Throughout Thursday there will also be the opportunity to book a one-to-one PSS surgery with Pam Mosedale, PSS Lead Assessor, in the exhibition hall, to discuss any aspect of the Scheme. Please visit our event page to secure your slot, which will be allocated on a first-come first-served basis.